We have got good news for our stylish and fashion loving readers, featuring the finest of Indian fashion, design and décor, Caravan 2014 at Harvey Nichols in Riyadh will see the works from ace designer Anita Dongre. A perfect fashion and lifestyle collaboration. An Initiative by Princess Reema Bint Bandar Al Saud, CEO of Harvey Nichols Riyadh, Caravan 2014 is a two-month long retail and lifestyle extravaganza that offers exemplary Indian design, décor, jewellery and fashion with more than 80 participants. The festival will start June 15 and will go on till August 2014. The designs showcased by Anita Dongre at the festival will offer an eclectic range of boho luxury gowns adorned with gota patti work along with hand woven sheer and panelled maxis and gowns to raw silk draped tunics and dhoti style gowns, said a statement. 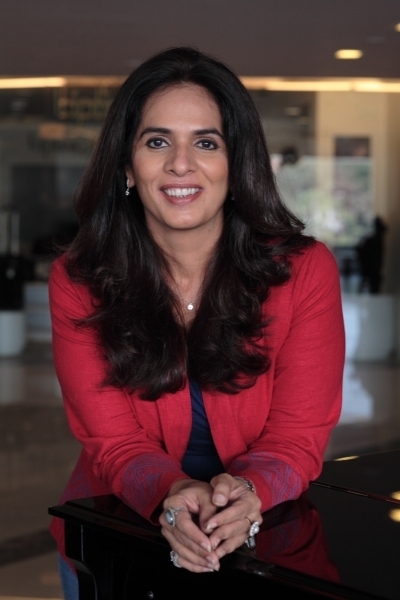 Anita Dongre is one of the most successful and popular fashion designers of India. She was born and raised in Bandra, Mumbai. Anita studied fashion design at the S.N.D.T. Fashion Institute in Mumbai. She is a fashion gem and we hope that you will get what you desire from the upcoming festival.